Hair is one of the first things people notice. It tells a lot about you – how old are you, how you care about yourself, how happy and enthusiastic you are. Fortunately shaping hair is easy. Even small adjustments and repair the hair will make you look fresh, new and instantly change your look. Here are some unique and lovely hairstyles ideas that will make feel beautiful. When it is done with style and taste, tail hair can look beautiful, sophisticated and beautiful. In addition, with all the catching hair back, you unconsciously are doing mini face-lift. Thus the smoothed face, especially around the eyes, forehead and cheeks. For extra looks rather plain clamp color, “decorate“the tail with a scarf in a sleek design. You will be amazed on the beauty of this hairstyle. This hairstyle gives the face frame, which depending on how they are tonsured will look beautiful or disorderly. This hairstyle immediately attracts attention, while wrinkles or acne on the face remained almost unnoticed. Especially fringe tonsured side, give a youthful look to your face. Although this look makes your face broad and large, this is the perfect hairstyle for older women who want to attract attention. This hairstyle creates a playful and unusual bending of hair around the face, which in each case make you look more natural. The volume of the hair is best achieved if it was slightly tapering in order to achieve the effect of vivid hair. Bouffant can best be done in the lower part of the hair, also on the peaks, which always achieves an excellent and desirable effect that gives the appearance of fullness and healthy hair. It is one hairstyle when your hair is caught in a braid or clip hair from her gently aside several top knot hair streaming that fall along the face. This look create framework and extensive cost definitely attracts attention. Full score is if your hair is colored in two shades. 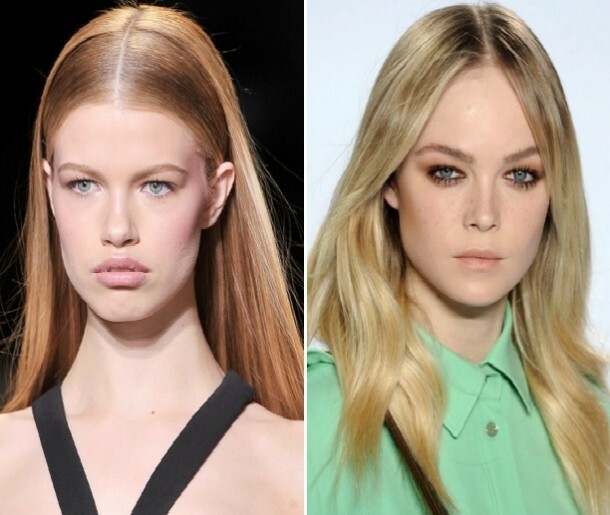 This hairstyle suits women who stand out the bones of the face. This Haircut is timeless. It can be shaped in many ways. This hair gives a young look and appearance of confidence. While most braids worn by young girls, a fact that makes them suited for those with long hair, regardless of age. 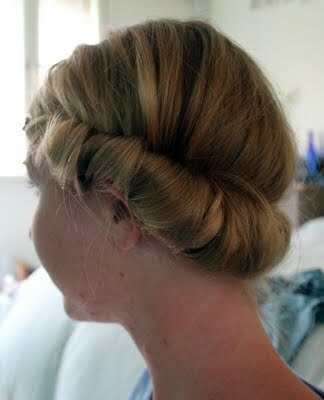 Try to make a long braid, side and bangs that match the side plait. It may create messy -looking hair, but gives the impression of youthful spirit and playful personality. In any case, the braid is always a better choice than some tails.